A musical airline, a hotel with its own recording studio, a heavy metal cruise and a Scottish travel company offering festival packages to Cuba were some of the presentations featured at the first international Music Tourist Summit, held in Glasgow in November. The programme highlighted innovative initiatives where music and tourism converge, providing insights into how they can mutually benefit businesses, organisations and the artistic community. Research has revealed that 928,000 people attended gigs and festivals in Scotland in 2015, generating £295m for the nation’s economy and supporting 3,230 jobs; Glasgow is estimated to account for £105m. The summit heard from leading music tourism figures from around the world including Johannes Everke, of Hamburg Marketing, Robert Holan, of Nordic Choice Hotels, Jan Struve, of ICS Festival Service GmbH and Julia Jones, whose Found In Music agency has developed numerous partnerships between entertainment and hospitality businesses. 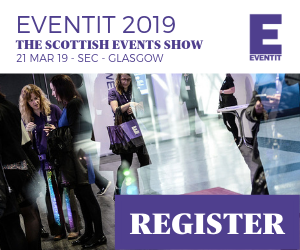 Closer to home, the event also focused on the rise of The SSE Hydro and how Kirriemuir is building on the legacy of original ACDC frontman, Bon Scott, who spent the first seven years of his life in the Angus town. Scotland gave birth to three quarters of ACDC’s original line-up, with Bon Scott living in Kirriemuir until his family emigrated to Australia. For the past decade, the small town has hosted Bonfest, which in April attracted fans from 27 countries and funds the local DD8 youth music group. As DD8’s development worker, Graham Galloway has been instrumental in promoting the Bon legacy and he outlined ambitious ideas for how it could be further developed. 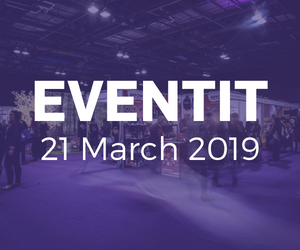 In keeping with two industries based around enjoyment and connecting with people, the event featured a range of relaxed networking opportunities. It took place in Glasgow’s Drygate Brewery followed by a civic reception at the City Chambers and then music and networking at the Citizen M Hotel. Day two focused on developing ties among delegates and speakers, as well as providing a showcase for local music acts, businesses and attractions. Delegates took part in a Glasgow Music City Tour, taking in key music locations, from grassroots venues to The SSE Hydro, which became the world’s second busiest music arena within 18 months of opening in 2013. The aim was to generate ideas and recommendations for future partnerships and collaborations, by strengthening mutual understanding between the industries. The summit, which was sponsored by the Scottish Music Industry Association, served as the foundation for an international network, leading to the establishment of a consultancy to assist with the development of music tourism initiatives.